A Proud, Standing Unicorn with flowing mane and a floral wreath around its neck. 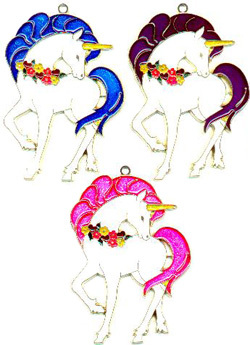 The color choices are in the unicorn's mane. This product was added to our catalog on Saturday 30 October, 2004.